​ THE TRUTH ABOUT THEA? "In this intricately woven and suspenseful tale, every character is believable, until Impellizzeri turns each one upside down to shake out questionable motives, long-held secrets, and mistaken identities, forcing you (in a good way) to think about everything you’ve read. That’s when you realize that while this is a carefully woven and deliberate story, it’s not cumbersome, because it all makes sense. That’s a tribute to Impellizzeri’s skill in handling a complex storyline, and her dedication to bringing a compulsively readable novel to her fans." "This will be one hell of a tricky review to write, there is SO much I wish I could say but it would all be one gigantic spoiler and y’all know I don’t do that. Whatever you think this book will be about based on the description doesn’t even come close to what it’s actually about, it goes in many unexpected directions and just when I thought I knew where it was headed Impellizzeri would throw a huge curveball and knock the entire book on its head. It’s twisty, dark, shocking and so very satisfying! ... The plotting is meticulous and super intricate, when things started to come together I was in awe, shock doesn’t even come close to explaining what I felt." 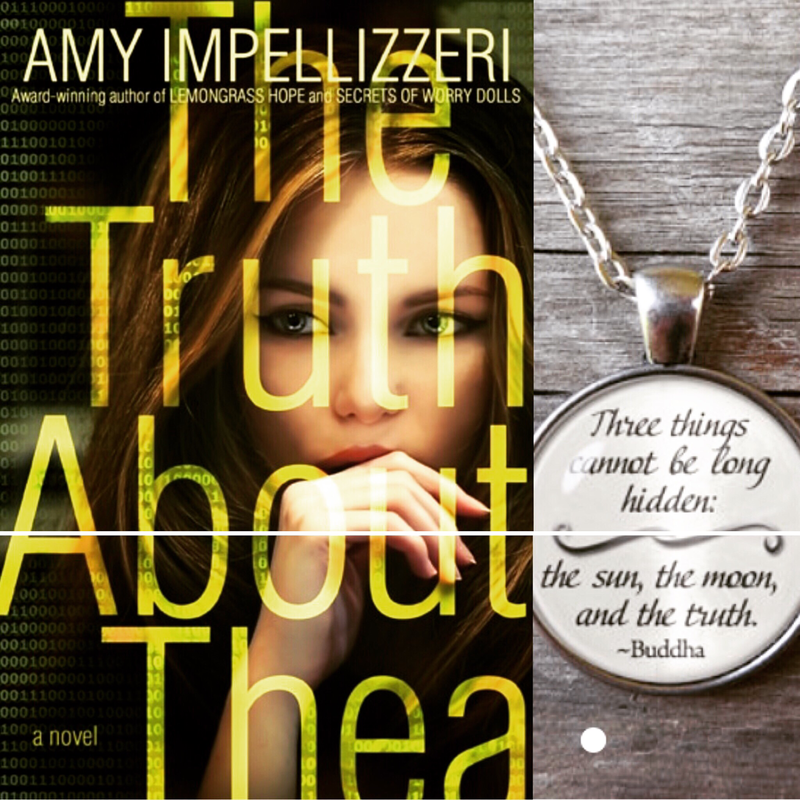 No author can tell a story like Amy Impellizzeri. As soon as I finished her book, I wanted to reread it, and only it, so I can truly savor her story again. If you want to get lost in a story, get lost in The Truth About Thea." ​“The Truth About Thea” has an interesting and intriguing story-line that grabbed my attention from the very beginning. With many twists and turns, secrets and lies we don’t know who to trust and nothing is as it seems. There are many complex characters and their individual story-lines are woven together in the best possible way. An exciting novel with ­­­­­­­­­­­­­­­­­­­a very unique plot that kept me guessing right up until the very end. I am looking forward to reading more from Amy Impellizzzeri.